Well I’m sure by now you’ve seen Starbucks advertising their new blonde roast coffee. They’ve been pushing this hard, samples in the stores, etc. So how is it? If you’re a regular Starbucks drinker, you’ll certainly find it different. 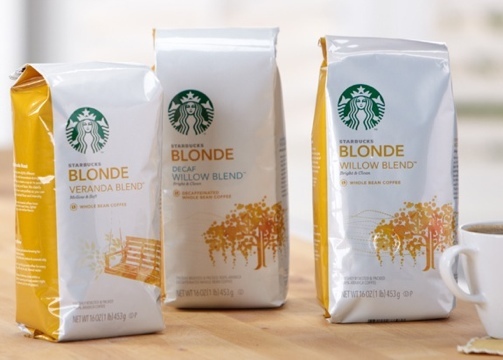 If you’re one of those people who jokingly refer to Starbucks as “Starburnt” in reference to their dark roasted coffees, you’ll probably love this new blonde roast. It’s a really, really light roast and if that’s your thing, it’s worth giving a try.